Some wonderful things are happening way out on the edges of political economics in the US. The country and the world have entered into a time that is ripe for alternative social projects. Much has and is coming to a head: severe economic pain, boundary-breaking developments in all the gender and sexual sectors, the broad surfacing of the deep racist dynamics we struggle with, yearnings for something new and different under our political sun, and sea changes in how we eat and take care of our bodies. And this list is just a good beginning. Many folks are taking advantage of these developments for another kind of world in many different ways. For example, worker co-operatives and a whole lot of other alternative folks are seizing the opportunity for gaining some substantial traction for regional economic development. More and more we are realizing the deep connections between demanding ecological priorities, social justice, democracy at work, more paths to collective ownership, and alternative ways of producing and distributing goods and services. Taking a long and broad perspective, it seems that three features stand out in this creative emergence. One, the immense diversity that characterizes the American people. Two, the long pragmatic tradition of significant social change in America. Three, the role of place. In terms of labels, Americans could be described as a “multi hyphenated-people,” and growing more so daily. Multiple bloodlines and diverse cultural-DNAs course through our bodies and individual personalities. Various combinations of ethnic and racial traditions are dominant in the different regions across our country, and even in different parts of each of our large cities. New ones are beginning to mingle with ones that have been deeply embedded in particular areas for hundreds of years. Following this deep grooves sites of struggle for democracy and fulfillment for all have spread out across the great expanse of this land that is our land. And they also vary according to local history, the rapid pace of technological change, and new patterns of migration and immigration. So the new kind of world we are yearning and working toward can only be diverse. In fact, very diverse. Worker co-ops developed by immigrant Latino women have to be different from those that may be emerging in places like Jackson, Mississippi. Community Gardens thrive in NYC. They are irrelevant in rural Wisconsin. The Pioneer Valley in Massachusetts has a 175 year history of worker co-ops, while a whole network of intentional communities and their supportive groups have taken root in the Charlottesville, Virginia region over the past 60 years. The NOBAWC network in the Bay Area has a very different character than the NYC Network of Worker Co-operatives that is just now finding its character. Throughout the Bay Area a broad range of different kinds of alternative economic projects are beginning to happen, and these are well connected to co-housing and social justice projects there. In NYC the Cooperative Economic Alliance of NYC (CEANYC) reaches across the city—slowly, organically from the ground up—to build the cooperative connections between a whole range of co-operative and solidarity economic projects. Evolution and culture are primordial forms of collective power. So how to deal with this intense and complex diversity? Solidarity, in its fundamental political sense, is about building collective power through diverse peoples, models, approaches, and traditions. Power is primarily the ability to do—poder, in Spanish— not to dominate. Evolution and culture are primordial forms of collective power. Nature survives and evolves through ecosystems because of their inter-related diversity. The human species emerged through the tribal social power that supported and depended upon the evolution of the mother-child relationship. That relationship, grounded as it was in profound empathic connection, drove the growth of the human brain and the development of language. Human consciousness emerged from all of that empathy and cooperation. Worker, consumer, and producer co-operatives are premier institutions of solidarity in the economic world. They have encountered and worked with so many of the problems in so many of their variations that all collective economic ventures have to deal with. As a result, they embody centuries of developmental experience with democratic structures and shared ownership and as supportive global network. They have much to offer fellow travelers such as collectives of all kinds, land trusts, intentional communities, ESOPS, and so forth. Deep functional connections with such regional fellow travelers can provide the regional grounding for co-operative economic development. The jazz band with its basic musical form and great flexibility for improvisation offers a great model for bringing different characters together cohesively and generate a dynamic coherence while allowing each to play from their personal creativity as well. So how do we grow a dynamic solidarity out of the diverse traditions and histories that have richly birthed different kinds of movements for social change? (A “movement of movements moving together,” if you will.) In a word, pragmatically. For sure, not ideologically. Like jazz an integral and unique philosophical tradition called Pragmatism emerged out of the American experience. The key word is “emerged.” The whole history of our country is about how to make sprawling collectives of diverse peoples work together at national, regional, and community levels. As with the whole course of evolution the results have been very mixed for ourselves and for the whole world. It has involved butting very different beliefs and traditions up against each other, all in the long, deep patterns of both exploitation and cooperation, abuse and caring, oppression and fulfillment which run through every nation and region of the world. More so than not, Americans are constantly trying to figure out how to make things work in the terms of what is rather than in the mold of how things should be. The work for deep social change cannot afford the imposed and internalized divides that now exist. Solidarity economics emerged in Brazil, a very diverse country with many approaches to social change. In addition, for them the political, economic, and social have always been closely connected in terms of their life experience and collective action for change. In the US, however, our economic elite adopted a core strategy of keeping the economic sector very separate from the political. They knew they had to live with a lot of resistance and differing viewpoints in order to make the most for themselves from the immense productive potential of our country. So they sought—very pragmatically and very successfully—to corral these forces into the political sector, and mostly keep them out of the economic sector. There were two moves indicative of this, one in the 19th century and one in the 20th. First, they maligned and crushed cooperative and socialist efforts for alternative economics. This included the “Populist Movement” of the Farmers’ Alliance and its sub-treasury land and loan system, one of the most radical proposals for a democratic finance system, Eugene Debs and the Wobblies, and much more. Further, they deftly and pragmatically allowed a very limited form of labor organizing under Samuel Gompers. A different kind of pragmatic move on the business elite’s part came during the New Deal era, when they were in a much more defensive position. Roosevelt wanted to promote the development of co-operatives, which was anathema to the business class. The result was a compromise whereby rural economics was robustly promoted, but no government support was made available inside city limits. So projects like the Tennessee Valley Authority happened, but nothing remotely like it was allowed in urban areas. RESULT: this divide-and-keep-‘em-weak strategy has enabled top-down pragmatism to trump bottom-up solidarity. Their work centered on destroying or severely limiting every kind of powerful movement for economic democracy. This strategy blunted the impact of movements for political and social justice by cutting them off from the economic world. (It would be interesting for someone to do a study as to how deep run the roots of the “nonprofit industrial complex” in the cracks of this great divide.) We need to work as pragmatically as our un-friendly elite to overcome the devastating consequences of the great political/economic divide they were able to impose on American culture and society. It’s a long haul project. 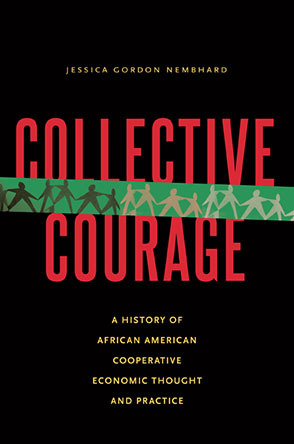 In spite of this very divisive structural strategy, various kinds of social and political movements have persisted and taken root in American culture: civic engagement, labor, ecological transformation, social justice (with racial, ethnic, gender, and now transgender branches), economic justice, as well as co-operative and other alternative economic movements. They have produced inventive strategies and practices within their own turfs, and many of these are still very alive and resilient. However, they also developed very separately from each other. To a large extent, those separations—like those sometimes imposed on orphaned siblings—have became quite entrenched. This is the challenge democratic change movements face today, if they choose to take advantage of the emerging and large opportunities to go forward in showing that another world is possible. The work for deep social change cannot afford the imposed and internalized divides that now exist. In addition, we need very much to draw upon the substantial approaches to personal and spiritual transformation that have been emerging over the past 75 years. We have much to learn in the way of thinking together and taking the risks that will be involved in suturing and healing the divides that are our legacy in this land that is our land. We should beware of overselling ourselves on the global dimensions of current times. Yes, digital technology has opened up many new levels of human connection. They are of amazing service in very practical ways, and they can constantly remind us that we live and breathe in a whole world, not just in our local ones. However, all life as we know it resides in specific places. Humans and their societies are rooted in specific places. The great masses of us work and live locally, and identify in significant ways to those places. Humans and their societies are rooted in specific places. These fundamentals of human life offer us a strategic foundation to vigorously renew healing our divisions and separations by building greater solidarity and coherence within and between unique places. This is why alternative economic development needs to be regionally grounded. Regions are the broader context of the places where people primarily live, work, and connect relationally to each other. Regions are centers where different combinations of cultural traditions and social change practices, strategies, and institutions have weaved their particular patterns of power and powerlessness, of scarcity and abundance, of struggle and celebration. Regions are both small enough and large enough to serve as pragmatic explorations and experiments in re-connecting our politics and our economics as well as re-generating an abiding appreciation for stewardship of our bio-ecosystems in all their diversity and interconnectedness. Small enough and large enough so children can discover how the microcosm of their family flows into the microcosms of their community, their region, their country, their Earth, and the whole Cosmos. So 21st century regional strategies will be essential for re-connecting the torn tissue of our body politic for the sake of social and economic development. Fashioning a shared vision of how co-operative/solidarity economic development can contribute to building “a movement of movements moving together” will be crucial to long term regional strategies for building bottom up solidarity in this land that is our land. Maybe the most amazing factor of the Mondragon phenomenon that touches so many of us so deeply is not so much that it is a model co-operative of co-operatives. Rather, maybe it is more that such a powerhouse of cooperation emerged out of the physical and cultural soil of its particular place. The same with Northern Italy, a very different physical and cultural soil from Mondragon. That area has spawned and supported a different world of cooperation that includes 7,500 co-ops, a development very aligned with its history and culture. The same has happened in Brazil with the development of solidarity economics in Brazil over the past 50+ years. And now it has an officially designated national office for promoting solidarity economics. In the United States the Southern Grassroots Economies Project is focusing on building democratic ownership across the southern region. As with the Basque region’s Mondragon, Northern Italy, and Brazil, the co-operative/solidarity potential of this region and its sub-regions has unique qualities that are inherent in its regionality. Creating such powerhouses regionally and networking them together is the task for regional co-operative/solidarity economics throughout this land that is our land. We are well equipped to do this given our extraordinary diversity, our home-grown pragmatism, and the rich jazz musical tradition we have given to the world.